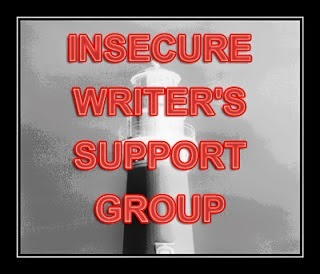 Welcome to the Insecure Writer's Support Group. The awesome co-hosts for the March 4 posting of the IWSG are Chemist Ken,Suzanne Sapseed, and Shannon Lawrence! Now for my post. I’m taking a different route for this month’s IWSG post. Today would have been my mom’s 80th birthday. Of course I’d much rather be celebrating it with her, but because I can't I’ve decided to celebrate with you. Though I learned many things from my mom, like sarcasm, fashion, and impeccable manners, there is one lesson she taught me that I’d like to share today. I was in my early twenties. I had a good job where people liked me. I had an office of my very own near the front doors where I could see people coming and going. Co-workers depended on me. I felt important. Then we got a new Regional Manager. The first thing he did was move me to a desk in a common area near the warehouse so a salesperson could have the office. Then he outlined some crazy expectations for my job, took away some of my favorite responsibilities, and made me start reporting status updates on my projects. I went from feeling independent and needed to feeling insufficient and not trusted. I was pissed. I was beyond pissed. I was ready to quit. I stopped at my mom’s for a glass of wine and to complain one evening. She listened and nodded. She asked clarifying questions and nodded some more. Then she said something I’ll never forget. “Sure, you could quit. But wouldn’t it be even better to make it right before you quit?” I was so angry about the situation I didn’t even understand her, so she patiently issued the challenge that instead of leaving in a huff, wouldn’t it be better if I proved myself, earned his respect, and then left? Left on my terms. See, that was my mom. Always doing things with grace. She was absolutely right. I did make things better before leaving that job—with my dignity in tact, thank you very much. It certainly wasn't easy, but boy was it worth it. So today I’m celebrating my mom’s birthday by challenging you to identifying the situation in your life that you’d like to turn your back on, or give up on, or blow up with a cherry bomb, and turn that situation around so that when you do finally leave it, you’ll leave it with a smile, knowing it was a job well done. Or maybe you don’t want to leave. Maybe it's just a situation that you need to improve on. Is it an aspect of your writing? Do you want to step up the support you offer your fellow writers? Do you hope to remove the hostility from your social media presence? Have you always wanted to be a part of a collaborative blog, but you’re too shy to ask? Then take the steps needed to make it better. If you want to compliment people more, set a daily reminder on your calendar. If you want to finish that manuscript, write 100 words in it each and every day. 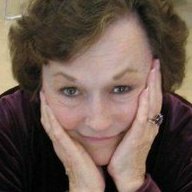 Help me celebrate my mom’s life by doing something to improve yours. Happy birthday, Mom. Don't worry about me. I'm still making it right. That was a beautiful post. Thanks for sharing. I loved the story and the sentiment behind it. So often we turn our backs on bad situations, and while I know that sometimes we have to just leave, to protect ourselves, sometimes improving things before we go is the right thing to do. For ourselves, and as a service to others. Good point - there are dangerous situations that can't be fixed and which you shouldn't even try! Thanks for the visit and the kind words, Amelia. Beautiful, inspiring post! Turning out hardships around is the best thing we can do for ourselves. Hard work, but rewarding. Thanks, Chrys. A lovely story, Kai. An inspiration to look at those bad situations in a new light and do something positive about them. What a wonderful relationship you had with your mother. Smile. Yep, Mom and I were close. Smiling back. What a lovely story. Your mom sounds very special. I volunteered to do something for my writing group and now that I started it, I understand why the previous person quit the position. But I've decided to make it better. Your post was perfect for me today. Yay - I'm so glad. Good luck with the project, Susan! Thoughtful post, Kai! Sounds like your mom stays with you in many ways. I did have to leave a job in 2007 when I had a similar experience. I tried to make it work for a while but I was miserable so I resigned. I wondered if I stayed on too long, trying to make it work, and felt like I'd been through a trauma. But surprisingly I came back to the job in 2013 and I'm glad I did. We never knows what life has in store for us! I have turned my back on dating for years, but a friend and I are going to attend a speed dating event together soon. Takes bravery to face something! Funny that you ended up back there again. Good luck with your new adventure. Sounds like you've got opportunity for some fun! Always try to find something worth saving in a project before giving up. You'll be so much happier afterward. Thanks for the inspirational post. There is always something worth saving - even if it's the tough lessons learned. Thanks again for hosting! What a great tribute to your mom. And thanks for the kick in the pants. I needed that to get me going. Hey, I'm always good for a kick in the pants. Or maybe I always need a kick in the pants. Hmmm, must ponder that one. Yes, Lexa. There are situations where no one benefits by your sticking around. Thanks for reading. What a wonderful relationship you have with your Mom. You were wise to act upon her advice. I think of my mother every day and feel her spirit with me. I have two daughters and I hope that I have left them with some good advice and examples they can carry into their future lives. I think that was the first time I learned how to regain control of a situation instead of just letting things happen to and around me. Mom was my business adviser. Very smart. What a wonderful thing to learn from your mom. Basically, to do the right thing. Carry that with you always. And congratulations on all of your books. I have seen them all over this past couple weeks. Thanks Alex! Good to know my books are getting around - 'cause I know you do! The internet that is. You know what I mean. Right?! Thank you for sharing your mom's birthday with us. What great advice! I had a couple bad work situations where I improved it before leaving, despite the way I was treated. I had less grace than your mom, though. I just couldn't leave it imperfect. Lol - I don't think that's any less graceful. Setting things right before you move forward is important, I think. Fantastic advice. Your mom is so right.... Dignity and grace IS the way to go. Always act professionally. I've been in several situations like yours, and I always bit my tongue and did as your mom suggested. Great! I wish you the best in the less than ideal circumstances. Sometimes it seems like the we are the only ones who value our own professionalism and dignity, but there is always someone on the outskirts watching, learning, respecting. It isn't always the easiest way, though! I remember never listening to my mum's advice, and now I say the exact same things to my children (and they probably listen to me as much as I listened to her!) At the moment there's nothing I'd like to change, although I will be glad when some projects get completed! It's nice to be in a good place in life. Hope you stay there for a long, long time. And of course your kids are listening. They'll realize it sooner or later - just like you did. Lol. This post is really resonating with me. Don't want to go into specifics on the inter-webs, but thanks for the post (and thanks to your mom!). Hugs! I hope it's a good resonating. I know this can sometimes be one of the toughest things to work yourself up to do. Hugs back. Happy Birthday to your mom! She was so right, though I would have felt the same as you. Someone new came in and took things away from you. Sounds like you were up to the challenge, though. Good for you. That was the first time I ran into that situation and I'm surprised by how many times it has come up (in varying degrees) since. Life can be hard - for those of us who try to be responsible.